Today I discovered something miraculous. A little (long) while back my mother bought me a candle from one of those product parties that classy people often go to. I was intrigued by the soft orange creamsicle scent, but other than that I didn't pay it too much attention until now. 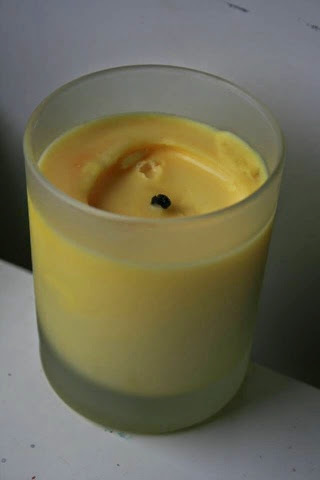 It turns out the candle is actually Alloette's Hot Soy Treatment candle. I used it and I adored it so I thought I should share. 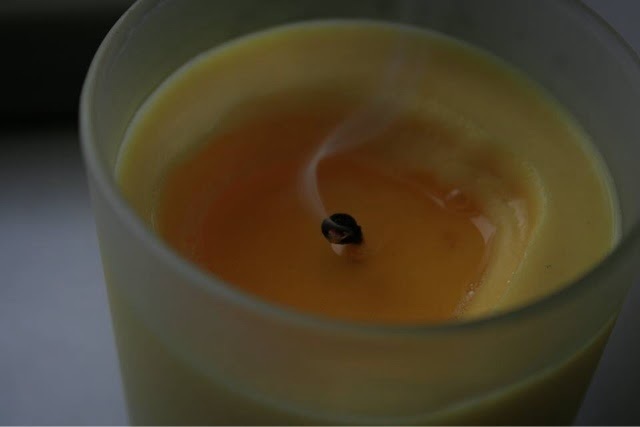 Without even burning the candle it smells amazing from its natural orange and vanilla oils. 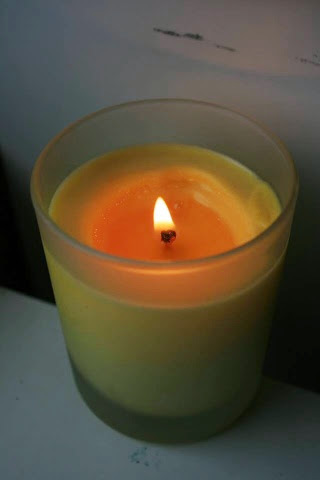 To actually use the candle you can either heat it in the microwave, or you can light the cotton wick until a pool of the oils form at the base of the wick--this is what I opted for. And dip your fingers in! Do not fret! You won't burn your fingers. I was surprised to find that the wax is not hot, but rather warm and soothing. Careful! 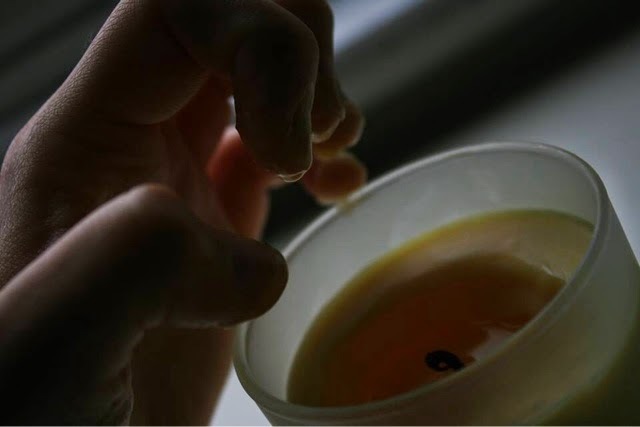 It changes states easily, so it will harden onto your fingers fairly quickly. 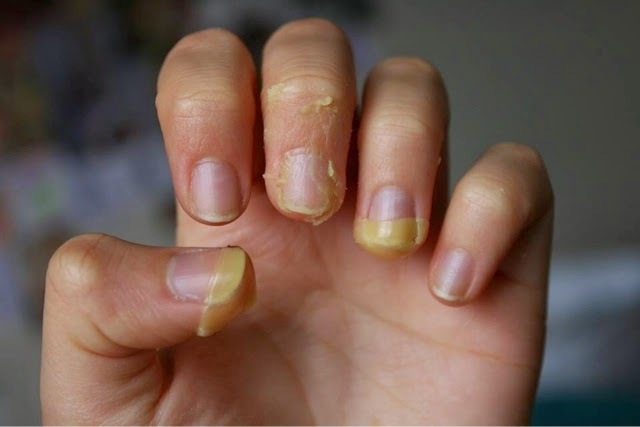 Next, you smooth the oils over your cuticles and nails. You can even rub it into your hands and I bet it would work great for rough parts on your feet, too! A little bit goes a long way! With the amount I used I was able to nourish my fingers, hands, arms, and even feet. However, by the time I got to my feet the wax was beginning to harden. 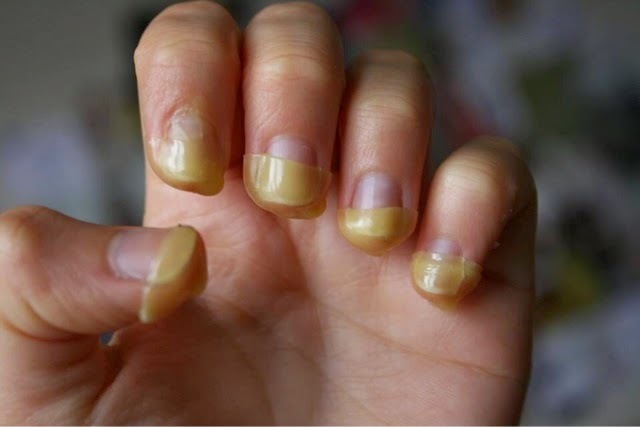 I dipped about 2/3 of my nails into the wax, so I would suggest dipping your fingers in about 1/3 to get a good amount. 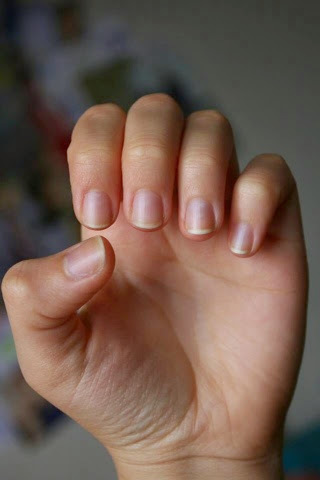 My cuticles are pretty beat up, but the Hot Soy Treatment really helps to restore them! What I especially love is the way the scent lingers on your hands. Any time you bring them close to your face you can fall into that dreamy haze all over again. As if this product couldn't get any better, it is 100% natural. 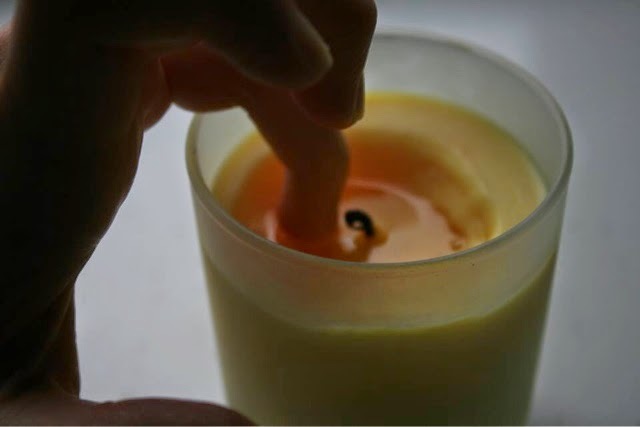 The soy wax burns 95% cleaner than your standard candle and produces very little soot (mine doesn't produce any). I am crazy for this product and I would highly recommend it! They have been discontinued but I believe you can still buy your own Hot Soy Treatment from Amazon!